There is a Common Entrance Exam for both the B.Sc. (Hons.) Program. You need not select your course at the time of applying. B.Sc. (Hons.) Mathematics and Physics, Mathematics and Computer Science: 12th standard or equivalent. M.Sc. in Data Science: Undergraduate degree (BA, B.Sc., B. Math., B.Stat. B.E., B.Tech) with a background in Mathematics, Statistics or computer science. Ph.D. in Mathematics: B.E. /B.Tech/B.Sc.(Math)/M.Sc.(Math). For details about fee structure and hostel accommodation, please download the Information Brochure. 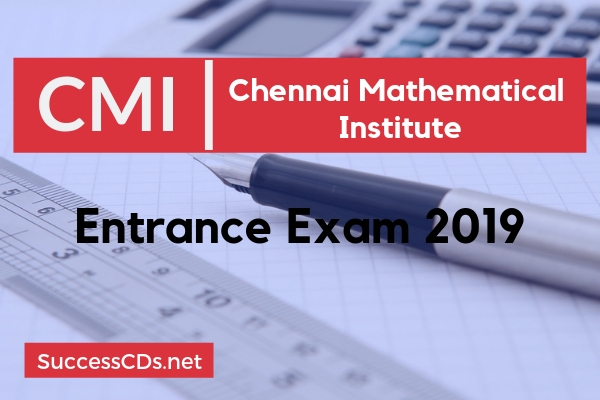 For more information, please write to admissions@cmi.ac.in.